All because you live in the desert doesn’t mean you can’t have the best looking garden on the block.There are tons of ways to get creative without the lush, green leafy plants. The desert offers something unique and otherworldly in terms of beauty. From burnt colors to textures and the stunning obscurity of cacti, you can give the eye a taste of something striking. 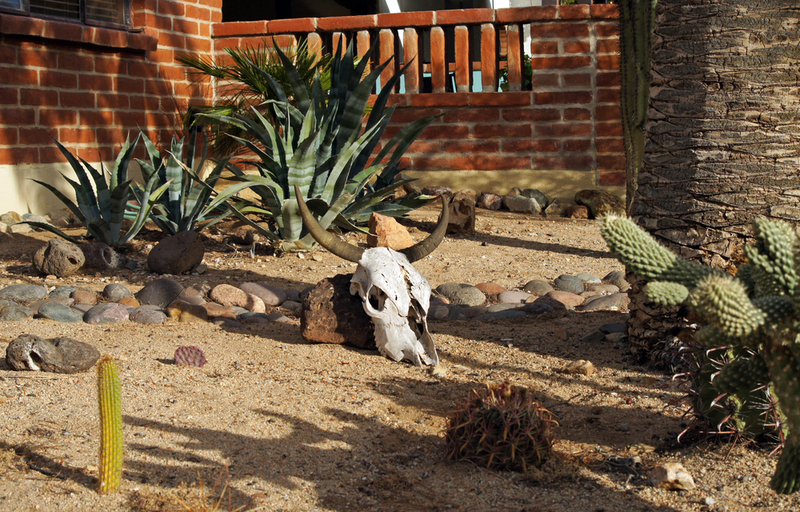 Transform your garden into a desert oasis of dreams. Here are our our top design tips for success! When you think of the desert, the first thing that comes to mind might be sand….lots and lots of sand. If anything, there definitely isn’t any grass. You may be wondering how you can create an alluring landscape without grass, but it’s possible- and offers extra benefits. 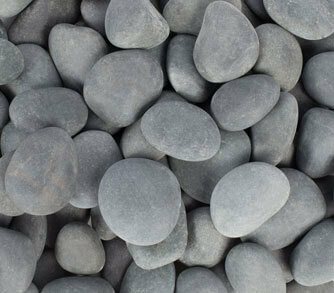 Use layers of stones or pebbles to separate sections of your lawn or plant beds. Garden pebbles come in several different colors and textures. They are also low maintenance, so picture a life without the lawn mower and sprinklers. Cacti and succulents may not be lush, but they hold their own magnificent beauty with sleek, unusual shapes, colors and growth patterns. When combined, you can really create a landscape design that captivates and puts on a show. Choose a few large plants to adorn the entrance of the home and flank them with smaller succulents! Best of all, these plants don’t need much water to survive- another low maintenance plus. Another way to get funky and functional is to design a shade screen or pergola in the garden. Shade screens filter sunlight, which not only keep things cooler but create a dreamy, golden glow. A wooden pergola adds a rustic touch to any backyard, with weathered wood logs that can be draped with plants to amp up the shade.